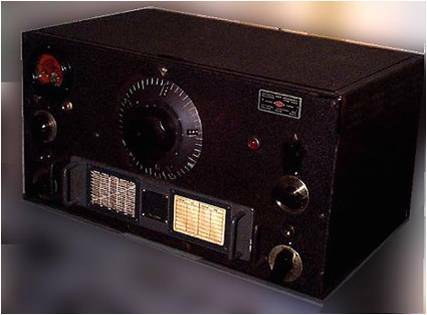 R 106 (HRO) these wireless were a major units used to intercept wireless transmissions from the German and Italian forces. 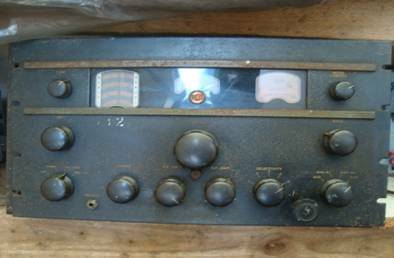 The one on display is a rack mounted unit with its coils to change the Band on which the station wished to listen on. The HRO radio Receiver is a High -Frequency super heterodyne suitable for C.W., M.C.W and phone reception throughout the frequency range of frequencies is covered in nine bands as follows. 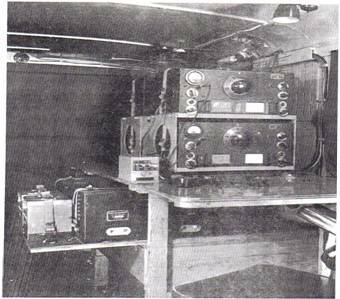 Two types of receiver were supplied one having a chassis suitable for rack mounting and the other having a chassis mounted in a table cabinet. All data given applies equally to both models each station comprises a complete set of coils as listed.